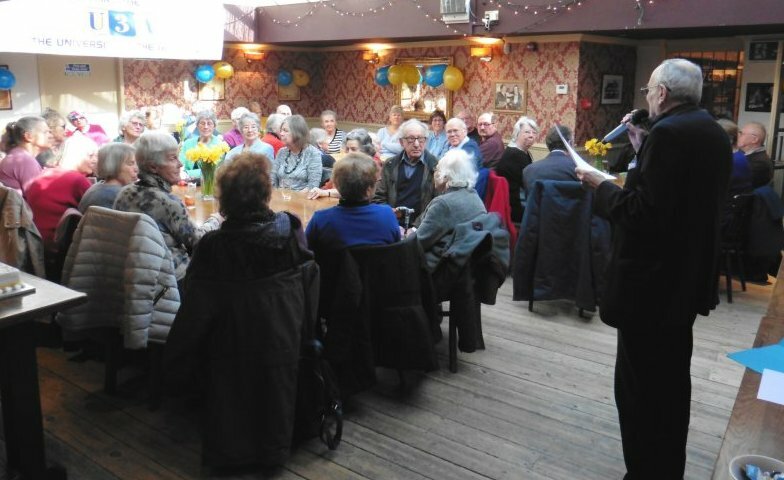 Our AGM was held on Thursday 21st March 2019 - the Chairmans report for 2019 is available through LINKS on the right-hand side of this page. + No Vice-Chairman was appointed immediately after the elections; this was to be decided at the first full Committee meeting. However, due to the fall that John Moore (our Chairman) suffered and his probable absence from U3A events for some weeks to come, there was an immediate need to appoint a Vice-Chairman. Following consultations between Committee members, Derek Atkinson has agreed to take on the role for this year and he will be our stand-in Chairman until John is fit to return. The editorial team consists of Ella Marks, Margaret Martin, Grace Craddock and Michael Black. The position of Newsletter Editor-in-Chief is at present vacant. The most recent Newsletter is available through the link on the right-hand side of this page. 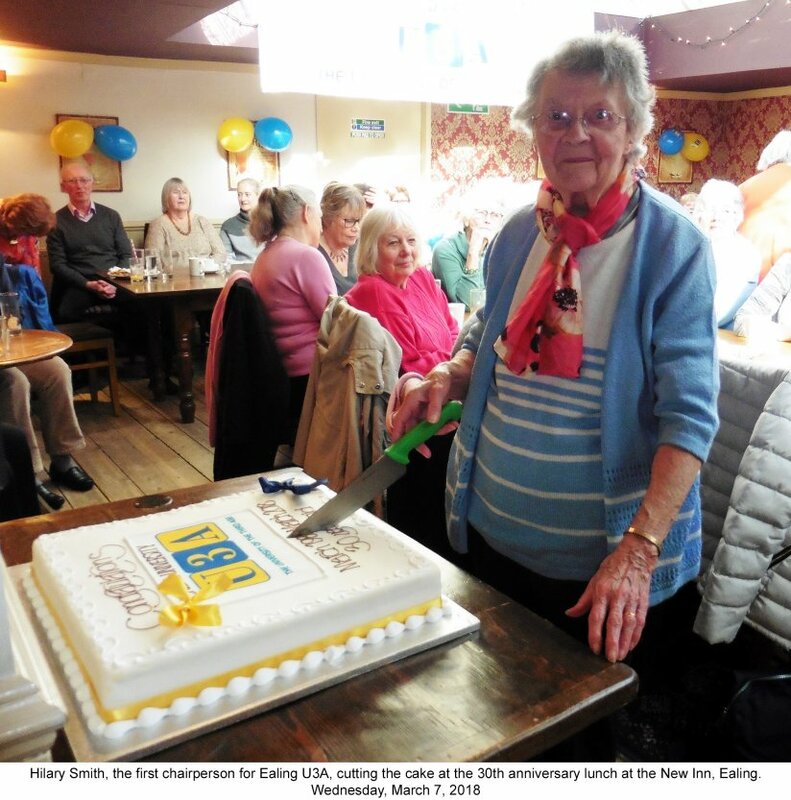 30 years for Ealing U3A! 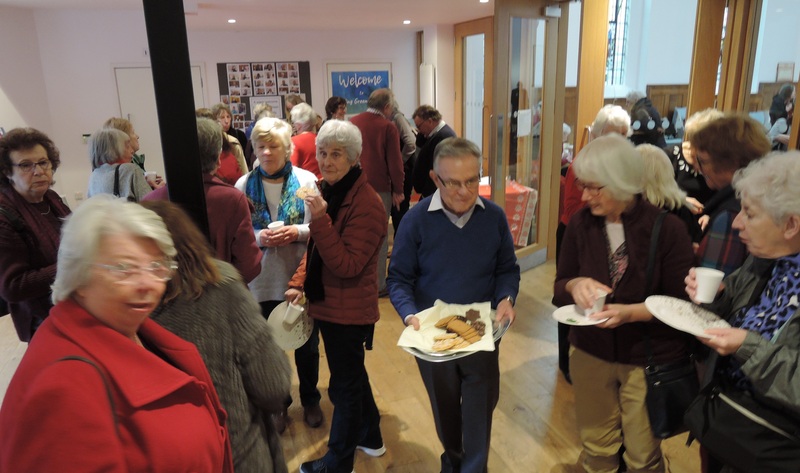 A Buffet lunch was held on March 7, 2018. You can see photos of the occasion on this page. 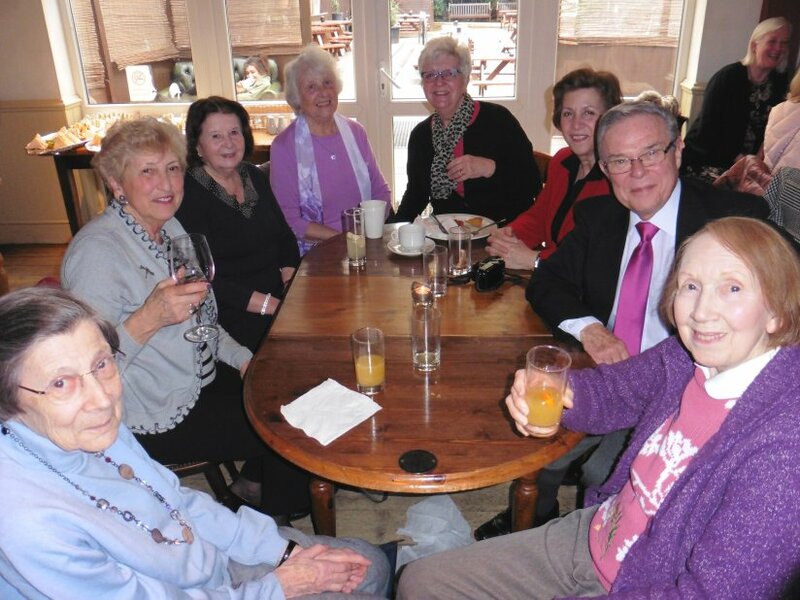 The Committee is very aware that many of our members live alone and, like us all, are ‘getting on in years’. 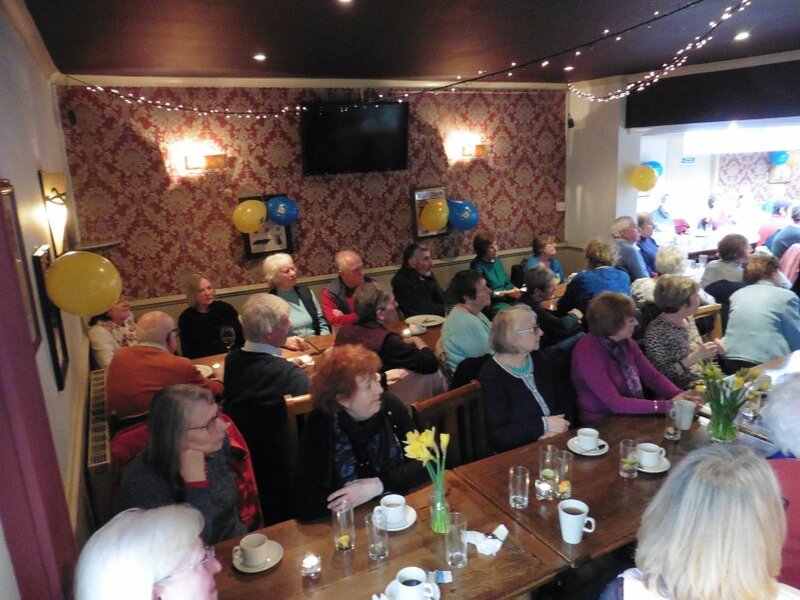 We are very glad that John Deighton has taken on the role of Almoner for our U3A and he has been keeping in touch with members who are sick or house-bound, either by telephone or by sending a card. However, John will not know who is sick or house-bound unless someone informs him so, if you know of any member who is in the situation, please contact John and he will take it from there.